Fleas are a blood sucking parasites feeding primarily off mammals, such as dogs, cats, birds, etc. They actively crawl and jump through the hair or fur of their host causing them great discomfort. Flea eggs are usually deposited on their hosts nest or in or on their bedding materials, which can include carpet etc. The Larvae feeds on organic material such as skin scales or food scraps in the floor cracks or carpet. When fully fed the Larva pupates in a protective cocoon with an adult flea later emerging to continue the cycle. If you need to get rid of Fleas, you need a professional pest controller, Control-A-Pest Pty Ltd and we are here to help you with Flea removal. 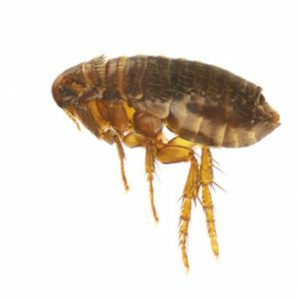 Due to the variety of hosts Fleas use, they can transfer disease from one host to another and Fleas are known to transmit serious diseases such as; the murine typhus virus, along with a number of tapeworm infections. A professional Flea exterminator, Control-A-Pest Pty Ltd, can provide you with assistance in Flea extermination. 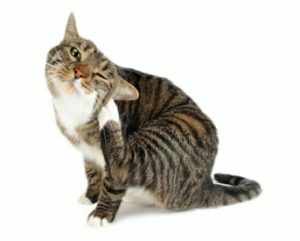 A Flea bite is intensely itchy and secondary infections are common. Treatment options include anesthetic creams and icepacks should be used to reduce the swelling. However, medical assistance should always be considered. If you have a problem with Fleas, call a professional pest controller, call us here at Control-A-Pest Pty Ltd for advice and treatment, contact us now.